It was also built to honor the one and only Jim Clark. Not only is the 100,000th Lotus built special because of its unique build number, but also because this is a one-off Jim Clark special edition – and Lotus wants to give it away. The iconic UK sports car company revealed this unique Evora last weekend at the Goodwood Festival of Speed. The Duke of Richmond, the guy who owns the Goodwood estate, was present for the occasion, as was . 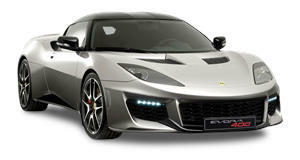 This Evora was commissioned to celebrate the 50th anniversary of 1968, the year when racing legend Jim Clark was killed. Clark only drove Lotus cars on an off track. Hi daily driver, the first production Lotus Elan (chassis 001), was his company car. Lotus is celebrating its 70th anniversary right now too, so the timing for this car is perfect. The Jim Clark Trust is also organizing a competition where the winner will receive the car as the ultimate prize. Those interested in entering can head over to www.jimclarklotus.com. This is also a way to help raise funds for the new Jim Clark Museum. This is inspired by the red Lotus Elan Clark drove in the 1960s. Like all Lotus cars, this one was hand-built at the company’s Hethel factory. . Zero to 60 mph happens in just 3.9 seconds. As with all Lotus cars, lightness is essential, and it’s accomplished here thanks to carbon fiber composite components, such as the roof panel and a one-piece tailgate with integrated spoiler. Painted red, it also features a silver roof and silver wheels, tartan upholstery, and has Clark’s signature on each rear buttress. “It’s fantastic to see the crowds here at Festival of Speed so engaged and excited to remember Jim Clark and celebrate his achievements in our Silver Jubilee year,” said the Duke of Richmond. Поможем вам подобрать и купить ворсистый ковер в любом городе.